Just like people, trees that want to live longer and look healthier should get a periodic visit from one of our tree doctors! Also like people, the best way to deal with disease, structure issues and appearance aesthetics is with early detection of problems. Our Grand Rapid arborists are completely licensed and fully insured to take on any tree maintenance that your trees may require. Scheduled maintenance of young trees can help you avoid a number of problems down the road. 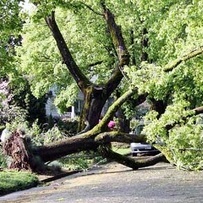 Most trees fail during storms because their main branches were allowed to grow in a structurally weak manner or because they were weakened by disease. A short and easy visit by one of our tree doctors for a little pruning, disease detection and nutrient strengthening could spare you the cost of an emergency tree removal in the future. If a tree disease is allowed to set into a tree or if its structure is allowed to grow weakly, large branches or entire trees often have to be removed. At best, the removal of a large branch can leave your tree looking unbalanced and at worst you will face the option of needing structural reinforcement or an entire tree removal. Spare your trees and the costs of future work by having one of our tree doctors visit today. After a failed or diseased tree is removed from your property, the stump is another matter. Stump removals are a whole different beast, which is why quite a few homeowners settle for having an eyesore in their yard rather than bearing the cost of a grinding or removal. 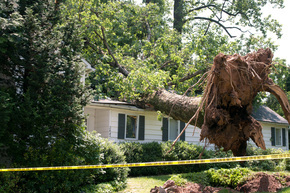 You could avoid facing these options altogether by maintaining the health and structural stability of your trees early on. A checkup from one of our arborists could end up saving you thousands while giving you the nicest looking trees in your area. 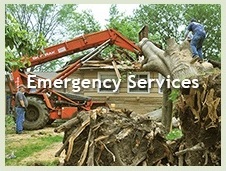 Call today for a free estimate on any tree service or tree maintenance of Grand Rapids you may require.